Professor Jackson will teach a seminar with us in May. If you would like to reserve a seat in the seminar please contact my assistant. Details forthcoming. Here’s what Wikipedia says about Professor Jackson. Michael D. Jackson (born 1940) is a New Zealand poet and anthropologist who has taught in anthropology departments at Massey University, the Australian National University, Indiana University Bloomington, and the University of Copenhagen. He is currently distinguished professor of world religions at Harvard Divinity School. Jackson is the founder of existential anthropology, a non-traditional sub-field of anthropology using ethnographic methods and drawing on continental traditions of phenomenology, existentialism, and critical theory, as well as American pragmatism, in exploring the human condition from the perspectives of both lifeworlds and worldviews, histories and biographies, collective representations and individual realities. The struggle for being involves a struggle to reconcile shared and singular experiences, acting and being acted upon, being for others and being for oneself. But rather than polarize subject and object, Jackson emphasizes the intersubjective negotiations at the heart of all relationships – whether between persons, persons and things, persons and language – and shows that being-in-the-world consists of endless dilemmas and constant oscillations in consciousness that admit of only temporary, imagined, narrative or ritualized resolutions. Insofar as anthropological understanding is attained through conversations and events in which the ethnographer’s prejudices, ontological assumptions, and emotional dispositions are at play, the ethnographer cannot pretend to be an impartial observer, producing objective knowledge. Jackson’s published work fully discloses the contexts in which understandings are negotiated, arrived at, or, in some instances, unattainable. 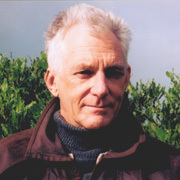 Jackson’s recent books have explored diverse topics such as well-being in one of the world’s poorest societies (Life Within Limits), the relation between religious experience and limit situations (The Palm at the End of the Mind), the interplay between egocentric and sociocentric modes of being (Between One and One Another), and writing as a technology for creating connections that transcend the limits of ordinary communication (The Other Shore).